It will be able to locate your glass with ease. Hand-carved by skilled artisans and made from wood. 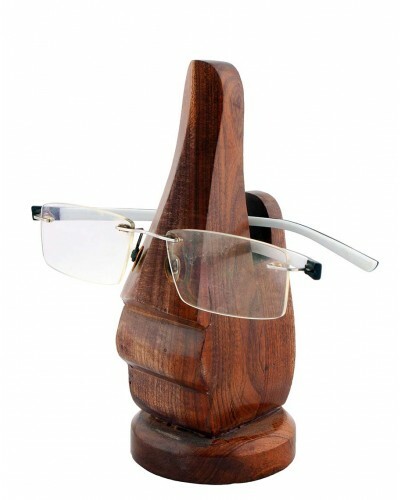 Wooden spectacle stand is kitchenware product designed by Swastik International in Kolkata West Bengal .This is made up of fine quality wooden material with brown color it looks elegant piece. It is a very useful product which can be used by everyone and that is why it is demanded more.